Createspace Independent Publishing Platform, 9781511541107, 238pp. Someone's about to get their just desserts. Riley Spencer is officially the new owner of the Cinnamon Sugar Bakery in the small town of Danger Cove. She's excited about the grand re-opening, but when she learns a hoax letter went out to the residents of Danger Cove informing them of free baked goods, she panics and does the only thing she can-quickly sets out plates of muffins, cupcakes, and cookie bars. Crisis seems to be averted...until the body of local recluse Nathan Dearborn is found in the bakery bathroom. The cause of death: peanut allergy. Riley's certain not a single item made with nuts left her kitchen, but no one believes her, least of all the police. 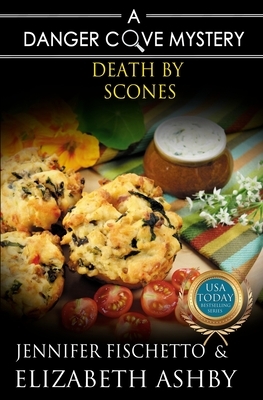 To save her bakery and her reputation, Riley is determined to figure out who brought in the fatal pastry. With support from her best friend, Tara, and her long-time crush, Jared, Riley discovers secrets from Nathan's past that make her question if his death was truly an accident or something more sinister. With suspects galore, the police breathing down her neck, a love life in turmoil, and a bonanza of baked goods, Riley has her work cut out for her catching a killer...before he strikes again.